Warm greetings to you from Hong Kong. 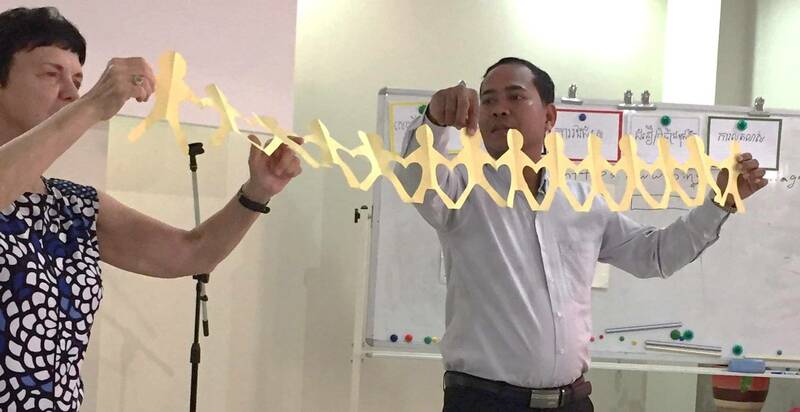 I am now back from a lovely trip to Cambodia where I held a Sunday School Teachers’ Training Program for twenty-three Sunday School teachers. They came from seven different cities or towns and some had to travel five hours. The students were mainly in their thirties and forties. I have taught Sunday School teachers many times, but only in the Chinese language—never in English. I usually have a booklet of 65 pages in Chinese which I prepare for each student. The challenge here was to translate all those pages into English so that I could send them to the pastors in Cambodia to translate into Khmer. I decided to limit the booklet to 35 selected pages so that we could get all the work done in time. In addition to the booklet, I also had many other hand-outs that I gave to the students. These included Gospel octopuses, two kinds of Gospel bracelets, cross necklaces, angel necklaces, paper crosses made from old Christmas cards, Gospel coins, small wordless books, folding Gospel visual aids, and tracts. A heartfelt thanks to the many LWML ladies from all over the USA who provided most of these Gospel items. 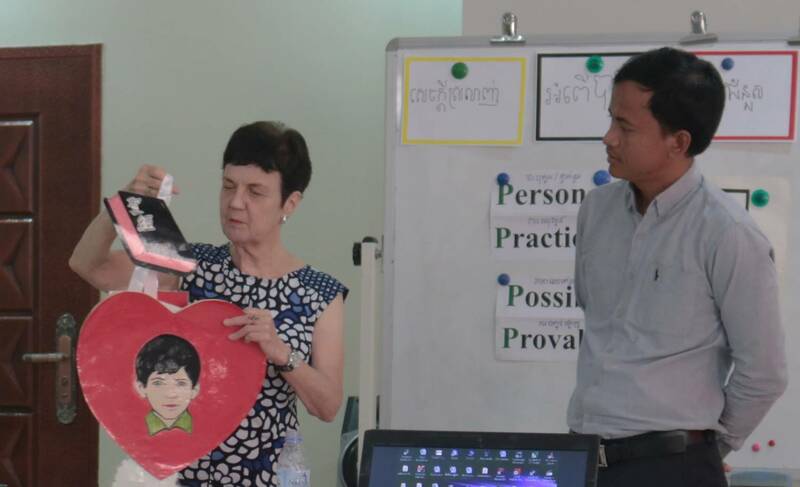 When I taught this class there were two translators who translated from English to the Khmer language. Below you see Pastor Songim watching as I showed different things that are in the heart of the Christian boy, Sam. Before the training the three of us spent a half day translating all my visual aids from written English to written Khmer. In the background of the picture below you see some of the visual aids that Pastor Songim and Pastor Ravy translated for me into written Khmer. The students listened very attentively and later had lively discussions when I divided them into small groups. They were especially interested in the paper-dolls with hearts between them that can be used to teach that as Christians we love one another. This design was included on one of the pages of the booklet, but they wanted me to explain and show in detail how to fold the paper and cut it. In fact anytime they did not understand how to use some of the visual aids, they were sure to ask me to explain in depth. 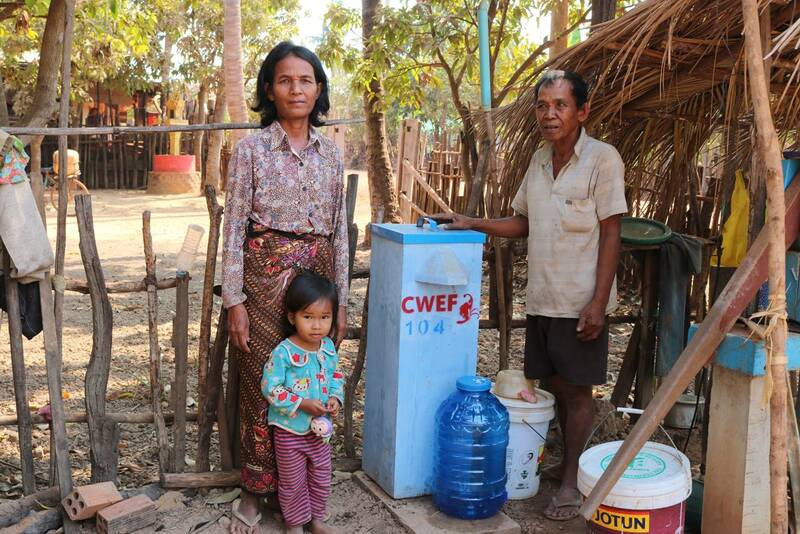 While in Cambodia, I also had the opportunity of spending a whole morning visiting homes in the Kampong Thom Province where the Concordia Welfare and Education Foundation supplies 103 biosand filters to make the drinking water clean. These filters can remove a certain level of arsenic from water by adding non-galvanized iron nails, covered by a layer of brick chips. The iron nails will quickly rust after contact with water and air. The iron rust (ferric hydroide) is an excellent absorbent for arsenic. I went with Kanhchana, one of the CWEF workers, and we brought 22 large sacks of sand and 53 water containers to this area for use with these filters. We visited quite a few families to see how their filters were doing and to give them clean containers to hold the filtered water. It was about a five-hour trip one way, and so we spent the night there. In the picture below you see the family with their blue biosand filter and the blue water container to store the filtered water. I also had an excellent opportunity to visit our dedicated LCMS missionaries, J. P. Cima, his wife, and their three dear children in Phnom Penh. On another day Kanhchana and I went to the Kampot Province where some of my Sunday School Teachers’ Training students live. Altogether we visited about seven or eight families, and had a meal with the last ones we visited. It was a good time of sharing the Word of God. 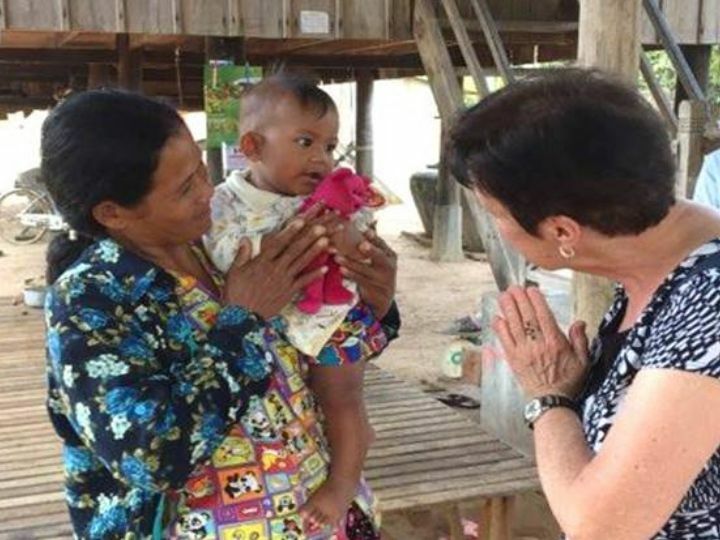 I thank God for this lovely opportunity to serve in Cambodia. 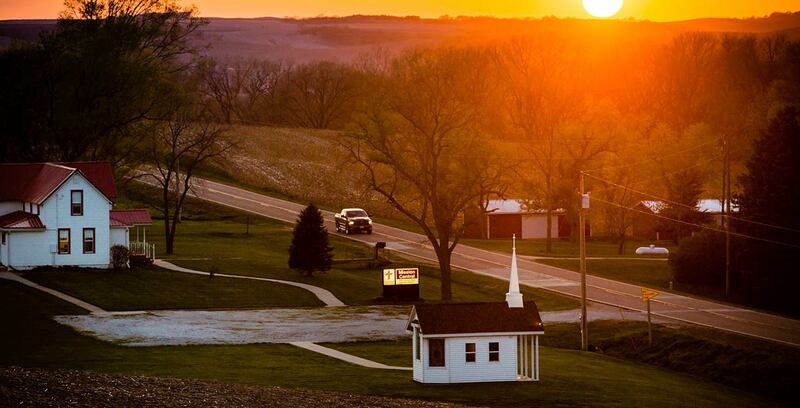 Do pray for these people that more and more of them will come to know the Lord Jesus Christ.